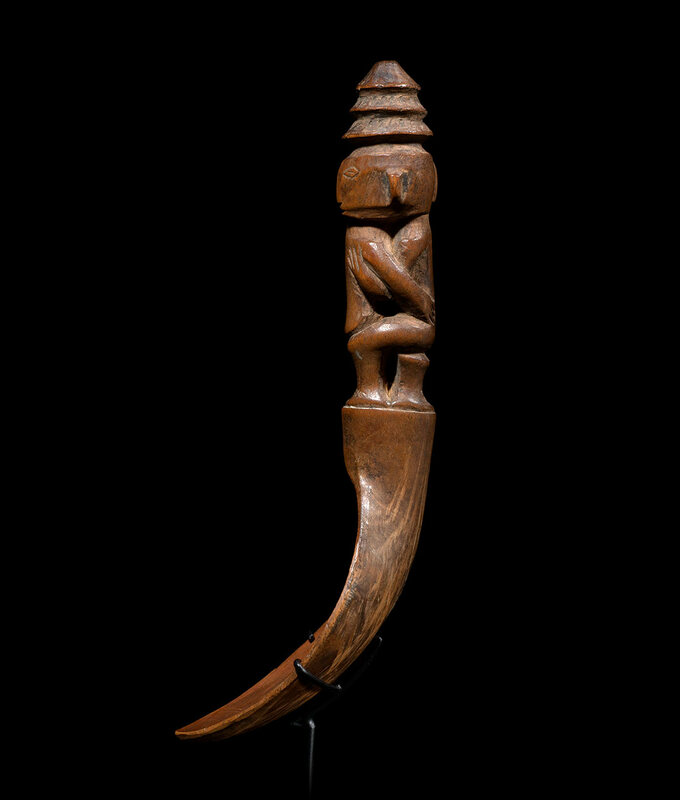 Provenance: Important American collection. 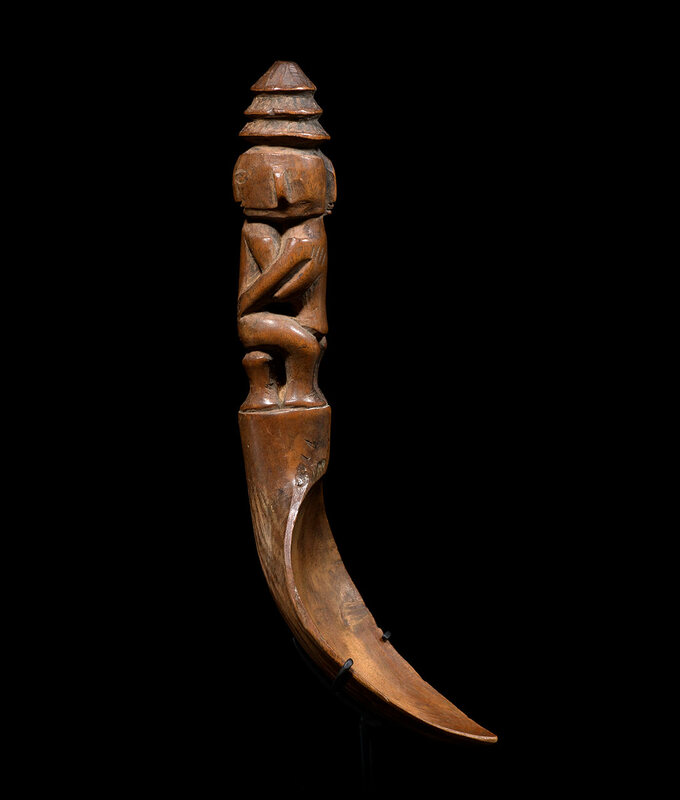 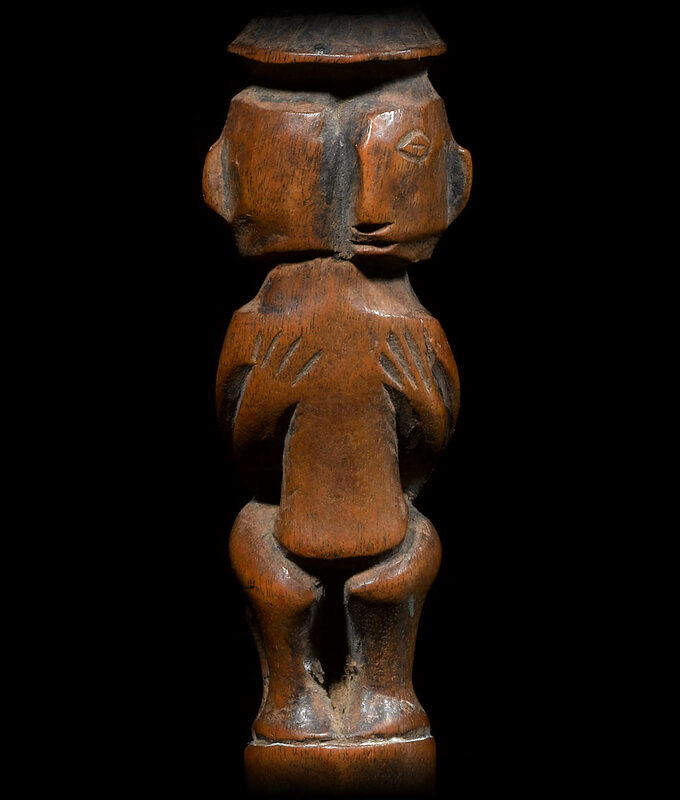 The Ifugao people are renowned for their rice deities figures (bulul) as well as their finely carved bowls and spoons. 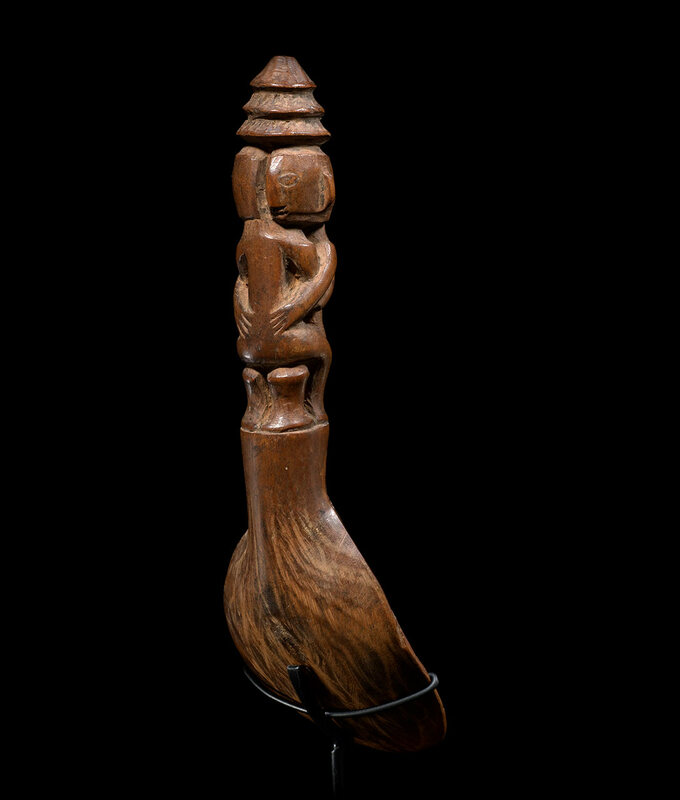 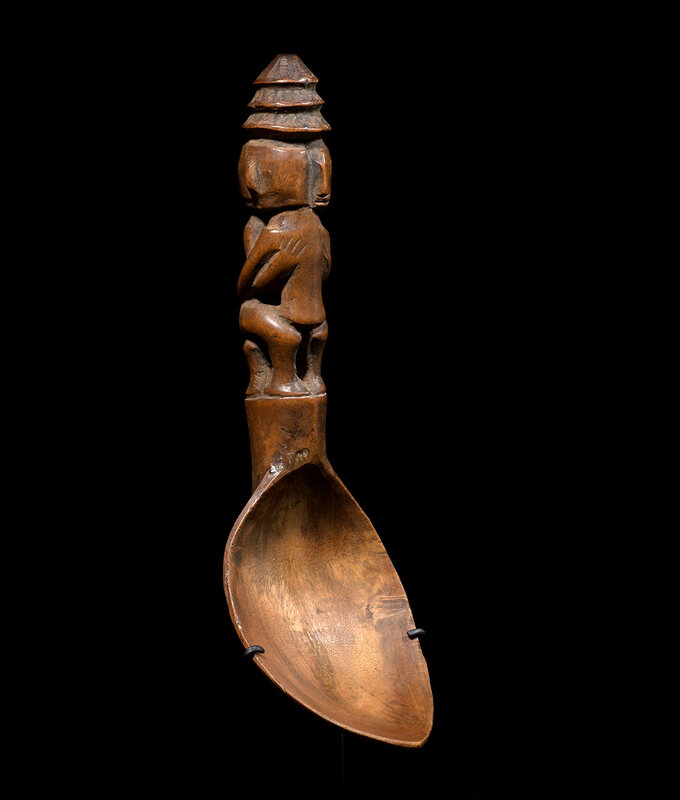 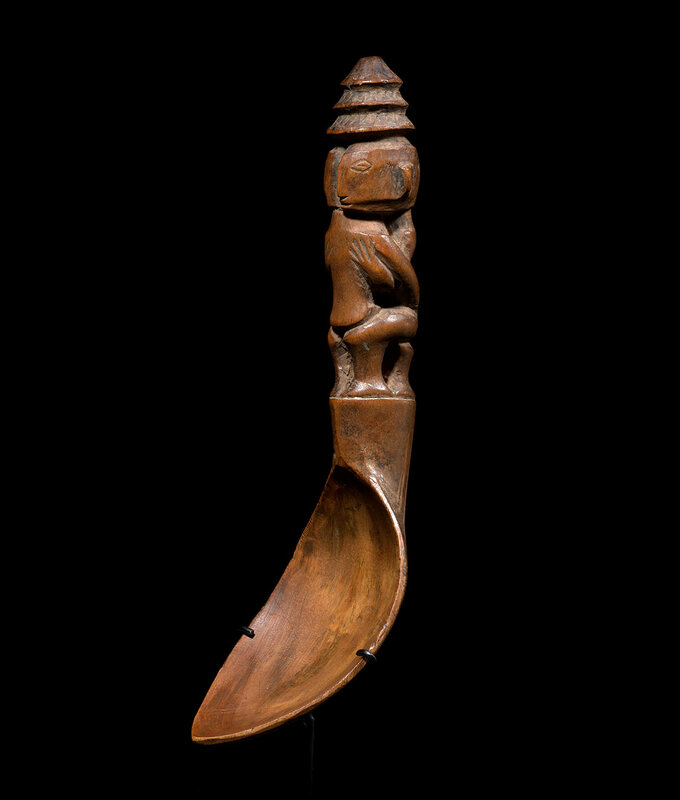 Figurative spoons have been used by the Ifuago to serve food and wine. 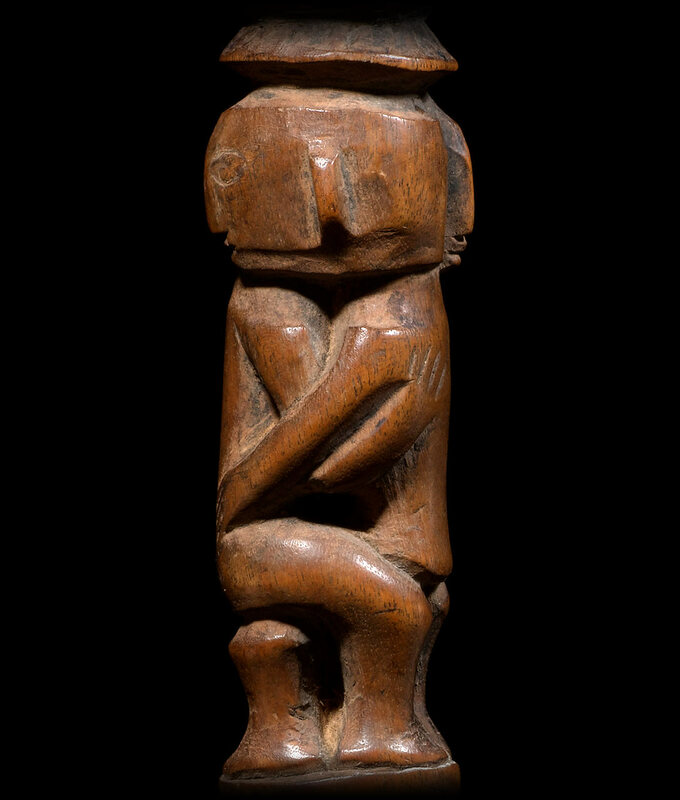 They usually represent one solitary figure or embraced couples. 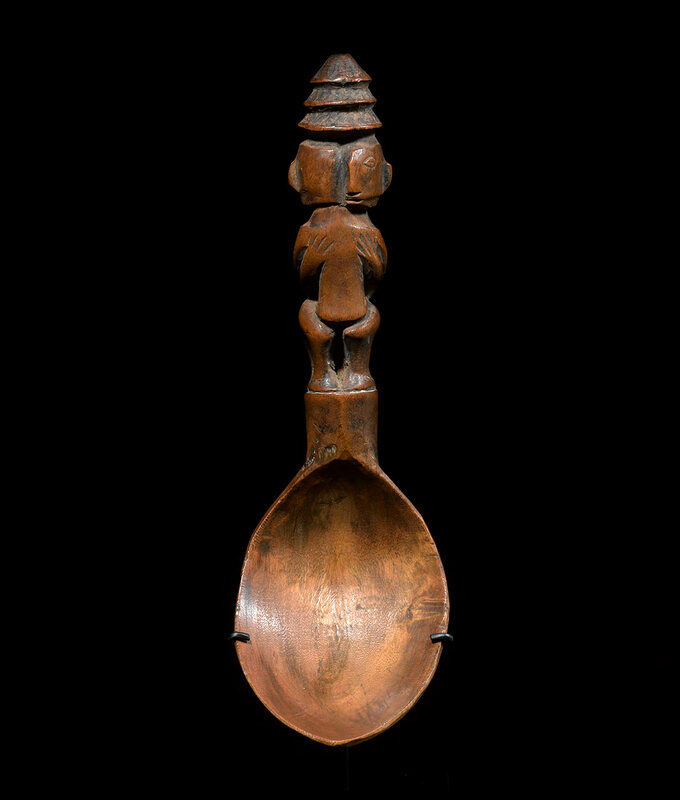 This ingeniously carved couple, the bold curves and the smooth surface of the spoon gives it a feeling of force and tenderness altogether.